Attention history educators! It’s not too early to mark your calendars for the 11th Annual Hawaii International Conference on Education. The conference is scheduled from Sunday, January 6 to Wednesday, January 9, 2013 at the Hilton Hawaiian Village Beach Resort in Honolulu, Hawaii. More than 1,300 attended the 2012 conference. To register for the upcoming gathering go to this link. The National Council for History Education recently reminded its state councils (including History Education Hawaii) that the deadline for the 2013 Paul Gagnon prize is coming fast. - Commitment to the idea that scholarship and teaching go together and that learning, especially for teachers, must be a lifetime dedication and a source of continuing exhilaration and joy. - Consistent commitment to the study of history and teaching it to students at the pre-collegiate level. 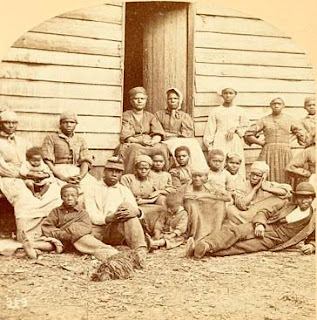 - Publishing or presenting historical research that advances historical education and scholarship. - Continuing dedication to advancing historical knowledge and expertise through participation in historical seminars, workshops and conferences. Applicants should submit five copies of each of the following to the NCHE Office. - A cover letter of not more than two pages indicating why the individual deserves the award (either self-nomination or nominating another). - A curriculum vitae (including institution, teaching assignments and contact information). - A narrative description of the program or project and how it advanced the study of history at the pre-collegiate level (not more than two pages). - Three letters of support written by individuals familiar with the applicant's work (not more than two pages for each letter). - December 3, 2012 - Completed applications and supporting materials must be received by the NCHE Office. - January 11, 2013 - Paul A. Gagnon Prize winner will be notified by the NCHE Office. - March 21-23, 2013 - The Paul A. Gagnon Prize will be awarded at the 2013 NCHE National Conference in Richmond, VA. Starting next week, the National Humanities Center will begin offering is Fall schedule of online seminars, America in Class. Hawaii history educators, students, historians and history buffs are strongly encouraged to register and participate! These live, interactive seminars focus on teaching with primary sources -- historical documents, literary texts, visual images, and audio material. Emphasizing critical analysis and close reading, distinguished scholars address the skills of the Common Core State Standards while giving teachers the opportunity to deepen their content knowledge. Participants need a computer with speakers and an internet connection. Registration for each seminar is only $35. Word has reached us that the Fall 2012 issue of The Concord Review (#94) is now available. Go to this link to download your copy. This issue features exemplary High School history research papers from Japan, New York, California, Pennsylvania, Washington, DC, Georgia, Texas, Massachusetts and South Korea. Topics include the Old Order Amish, Leprosy in the Middle Ages, Deng Xiaoping, and Indians in South Africa, among others. Hawaii high school students are strongly encouraged to submit items for approval and publication. According to Will Fitzhugh, the last Hawaii student featured in an issue of The Concord Review was in 1996! The Concord Review, Inc., was founded in March 1987 to recognize and to publish exemplary history essays by high school students in the English-speaking world. With the 94th issue (Fall 2012), 1,033 research papers (average 6,000 words, with endnotes and bibliography) have been published from authors in forty-six states and thirty-eight other countries. The Concord Review remains the only international quarterly journal in the world to publish the academic work of secondary students. It was 150 years ago today that President Lincoln issued the Emancipation Proclamation. It did not go into effect until January 1, 1863. The Saturday Evening Post -which is still published today- was there to report this important event. Jeff Nilsson of the Post has authored an article about this milestone in American history. Click here to read its contents. Nilsson is the director of Post archives and a website editor. He is directing the program of digitally converting the magazine's 190 years of issues. On August 28 we posted the text of this editorial in The Friend. It was written and published there by Rev. Samuel C. Damon. This item and others will be posted online in the near future. We also invite interested Hawaii historians, teachers, students and our state leaders to join us in marking the anniversary of the Emancipation Proclamation. Today we received news of a new and worthwhile fellowship program. Hawaii history teachers, historians, students and history buffs are urged to apply now! The first Mount Vernon 2013 Fellowship Program: Supporting Research on the Life, Leadership, and Legacy of George Washington is sponsored by the Fred W. Smith National Library for the Study of George Washington at Mount Vernon. It is accepting applications for its inaugural fellowships. These fellowships are designed to support short-term and long-term funded residential research. Slated to open in fall 2013, the Library is located at Mount Vernon, just 16 miles south of Washington, D.C. near Alexandria, Va.
Fellowships will be awarded to applicants whose research focuses on the life, leadership and legacy of George Washington and his place in the development of American civic life and culture. Applications will also be evaluated on their relevance to the Mount Vernon Ladies' Association's mission, which is to preserve, restore, and manage the estate of George Washington and to educate visitors and people throughout the world about his life, legacies, character, and leadership. These funded research opportunities are available to doctoral candidates at the dissertation stage, and those who have a PhD or standing as an advanced scholar in a relevant field. Applicants may be U.S. residents or international scholars with permission to enter the U.S. for this purpose. Applications are due by November 15, 2012. To apply click this link. A friend of ours referred us to a series on YouTube about understanding the U.S. Constitution. Part One. Please click here. Part Two. Please click here. We also wish to share this, 'Understanding How the Declaration of Independence and Constitution Work Together: 9 Key Concepts Everyone Should Know. Please click here. We've received news from the Hawaii Judiciary History Center of an exciting lecture about Kalaupapa on the island of Molokai. Kalaupapa: A Collective Memory, Ka Hokuwelowelo is scheduled for Wednesday, September 26, Noon - 1:00 pm. 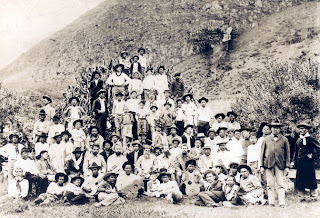 "Join us as Anwei Skinsnes Law shares letters, petitions, music, memoirs, and oral histories of Kalaupapa's residents. Law will be joined by retired public interest lawyer and writer, Esther Arinaga, who will discuss a late 19th century capital punishment case, Republic of Hawaii v. Kapea, et al, revealing the impact of leprosy and the laws pertaining to the disease in Hawaii. 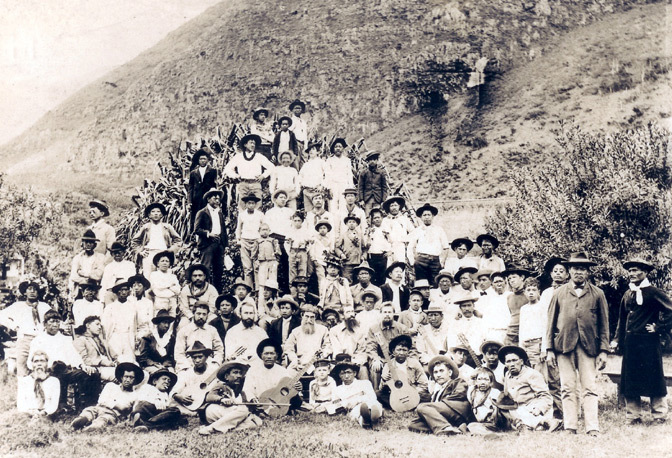 "Between 1866 and 1969, an estimated 8,000 individuals, at least 90 percent of whom were Native Hawaiians, were sent to Molokai's remote peninsula because they were believed to have leprosy. Unwilling to accept the loss of their families, homes, and citizenship, these individuals fought to ensure their rightful place in history. "Law's research reveals a Kalaupapa community actively engaged in the pursuit of better living conditions, and keenly interested in life beyond their confinement." RSVP for this program by calling the Hawaii Judiciary History Center at 539-4999. The Center is located in Aliiolani Hale off South King Street across from Iolani Palace and behind the Kamehameha the Great statue in downtown Honolulu. 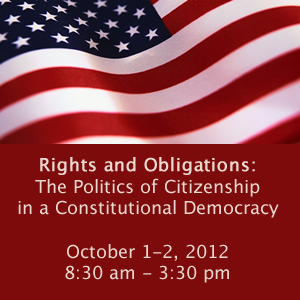 On October 1–2, 2012, the Judiciary History Center, Hawaii State Bar Association, and Hawaii State Department of Education will conduct a professional development workshop for high school Social Studies teachers of U.S. History, Participation in Democracy, AP U.S. History, AP U.S. Government; and 5th and 8th grade Social Studies teachers. The workshop will focus on the rights and responsibilities of citizenship, paying particular attention to the relevance of the U.S. Constitution and Bill of Rights in the 21st Century. We’ll compare the U.S. Constitution with more recent constitutions to explore views of individual rights, which may differ from the views that informed America's founding fathers. In what ways are individual citizens of the United States allowed, and at times required, to participate in our system of government? How does the U.S. Constitution stand up against the constitutions and charters of other nations in the 21st century? And how is the United Nations' Declaration of Human Rights similar to and different from the Bill of Rights? Featured presenters include Associate Judge Daniel Foley, Professor Randall Roth, and Dr. Kehaulani Watson. The workshop will be limited to 30 public and private school teachers in Hawaii. DOE teachers are eligible to receive 3 PDE credits and 4 HOUSSE points for completing the workshop requirements. DOE teachers should visit the PDE website - pde3.k12.hi.us and register for course # ss156134 by September 26, 2012. IMPORTANT** DOE teachers must also fax or email a completed Intent to Register form to Keahe Davis at 539-4996 or keahe@jhchawaii.net. To receive PD credits, DOE teachers will also be required to attend training sessions on Saturday, January 26, 2013 and Saturday, May 4, 2013 from 8:30 am to 3:30 pm at the Judiciary History Center, located at 417 S. King Street, Honolulu, HI 96813, and complete all portfolio requirements. Private school teachers should use the register button below to contact the Judiciary History Center directly. There will be no cost to attend this voluntary teacher training session. No airfare or ground transportation will be provided, though a $100 travel subsidy, provided by the HSBA, will be available to the first five neighbor-island teachers that register and attend both days of the training session. Morning refreshments and a light lunch will be provided by the HSBA. Smithsonian Magazine's annual Museum Day event is scheduled for September 29, 2012. Across the USA participating museums open their doors for free admission. We know that museums are excellent places to immerse one's self. Go to this link for more information about Museum Day. You can find out which museums are participating. To receive your Museum Day ticket click here. It's free admission! - Anna Ranch Heritage Center. - Bailey House Museum (Maui). - Hawaiian Mission Houses Historical Site and Archives. - Japanese Cultural Center of Hawaii. - Pacific Aviation Museum Pearl Harbor. - Queen Emma Summer Palace. Click the link to the YouTube lecture on James Madison, how he crafted the American Constitution and how he campaigned to get it approved. The lecturer is St. Francis College Constitutional Law Professor Frank Sorrentino. We are reminded that as we view the news from China and Japan that today marks the anniversary of one of East Asia's darkest moments in history. 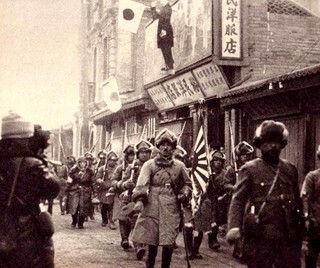 We refer to 1931 conquest by the then-Empire of Japan of Manchuria, precipitating the conquest of Manchuria. U.S. Department of State Office of the Historian: The Mukden Incident of 1931 and the Stimson Doctrine. Click here. Mukden Incident; U-S-History.com. Click here. World War II Datebase: Click here. The Road to Pearl Harbor: The United States and East Asia 1915-1941 (features overview and lesson plans). From the National Endowment for the Humanities. Click here. 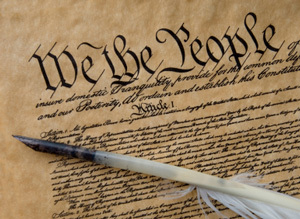 Today is Constitution Day across the United States of America. It was 225 years ago today that the U.S. Constitution was ratified. Throughout this week History Education Hawaii will post online-based learning materials for your classroom and/or personal use. The American College of History and Legal Studies "is a revolutionary development in American Higher Education. The ACHLS is a senior completion college: it offers the junior and senior years, not the freshman and sophomore years. It's curriculum focuses exclusively on American History. All courses are taught by the discussion method, not the lecture method. It is truly affordable to students, provides 'pathways to law school' for students who wish to attend law school, and equips graduates to pursue other career options as well." ACHLS has a channel on YouTube. It features interesting and enriching lectures we think you'll enjoy. Click the link and get started on learning more about the history of the U.S. Constitution. History classes have created a new approach to studying major historical events. Amsterdam-based school, 43 Gymnasium, has taken advantage of the popularity of Facebook and the user-friendly Timeline feature to inspire a curriculum. The page allows students to create posts, link various media and generate dialogue with fellow classmates. The class is focusing on four subjects: Magellan’s voyages, 20th century inventions, Fashion history from 1950-present and the rise and fall of the Soviet Union. By not only focusing on the content, but the chronology of events, students are able to experience a larger understanding of cultural and social themes, trends and milestone achievements. We bring this article to your attention. Do you use Facebook's Timeline in your lessons? If so, we'd like to hear from you! Enjoy the interactive video featured in the link above! We were perusing our Facebook news-feed when we received exciting news! Today, National History Day announced news of a new summer institute for teachers and students. In June 2013, fifteen student/teacher teams will engage in a rigorous study of D-Day and World War II. Students and teachers will be immersed in lectures presented by leading World War II historians, participate in a scholarly study of the war memorials in the Washington, D.C. area and walk in the footsteps of history on the beaches of Normandy, France. Students will study about and make presentations on various aspects of the Normandy Campaign. The last day in Normandy will be a day of remembrance. The students will lay a wreath at the American Cemetery and present eulogies based on individual pre-institute research of a soldier who made the ultimate sacrifice. Check out the website for information on how to apply.